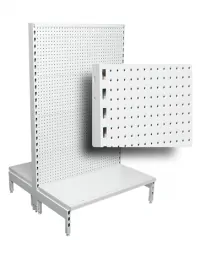 With an extensive range of metal pegboard shelving, Slatwall panel & mesh back gondola units Shopfittings Direct Pty Ltd can swiftly supply best suited display shelving for retail stores. 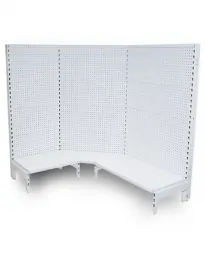 Specifically designed for pharmacy warehouses & chemist outlets, supermarkets, pet supplies, hardware stores, toys stores, pool shops, tool shops, discount $2 dollar shops and variety stores. 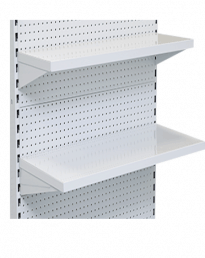 Shopfittings Direct is Australia’s leading suppliers for metal gondola shelving, perfect for any retail store. A cost-effective shelving solution to display and merchandise products in any retail environment, investing in these versatile shelving units offers you real flexibility in how you display your products. 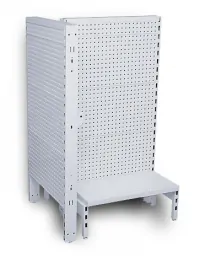 Whatever industry you’re in and regardless of the size of your retail space, you’ll appreciate the adaptability, reliability and durability of the systems in our range. 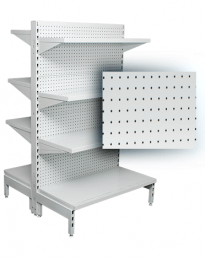 Shelving is an essential part of any store, so we ensure that every business can access quality shop shelving units from a reliable supplier. We pride ourselves on supporting Australian businesses of every size, so whether you’re a small independent store in a rural location or are just starting out with your first shop, we’re there for you with affordable prices, fully insured low cost freight and friendly customer service. Find something you and your customers will love in our collection today. 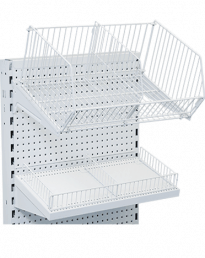 Pharmacies | Bargain Stores | Newsagents | Supermarkets | Electrical & I.T. 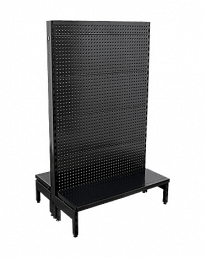 Stores | Gift Shops | Clothing stores | And more! 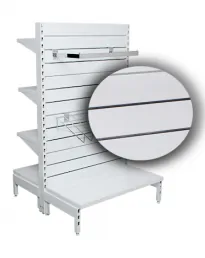 Buy from Australia’s leading display gondola shelving suppliers at Shopfitting’s Direct and start capitalising on all your potential in-store opportunities. 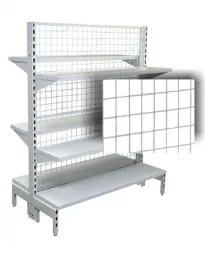 With fast delivery Australia wide and affordable prices on our entire range of gondola shelving units and accessories, place your order today! Contact us on (02) 9608 5122, or send us a message via email at sales@shopfittingsdirect.com.au for further assistance with your order.